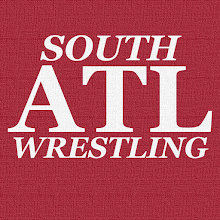 South Atlanta Wrestling: Happy 4th of July, Hulkamaniacs! Happy 4th of July, Hulkamaniacs! Now I am obviously a "Nature Boy" Ric Flair guy, but when I stopped to think about what wrestling song should celebrate July 4th here on SAW there was only one choice. I hope you all get to enjoy some special time with your loved ones. Let's not forget about those who are out there "paying the price" to protect this country either.